COMIC STORY ARC: The Martians were here! What would happen if the 21st century were different from what it is today? Imagine a world split and unified differently geographically from the historical boundaries we know today. What if the planet had Colonies and squads stationed on Mars? 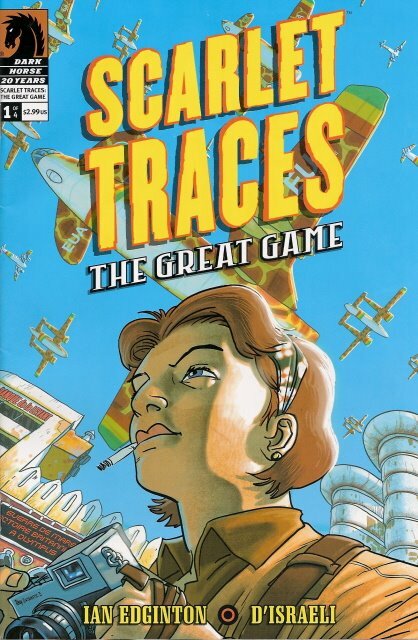 In this title, SCARLET TRACES the reader follows the occurrences of a reporter and the occurrences that are leading to another war with the Martians. This is a fascinating tale with the “What if “scenario. 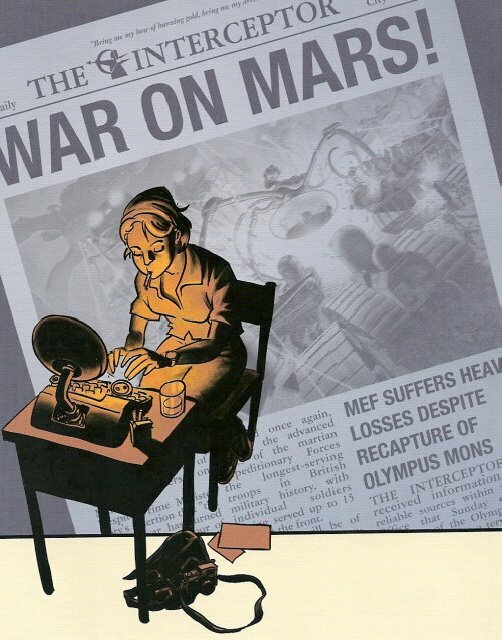 Suppose an army of Martian's strive to conquer the earth in the nineteen forties. The Martians previously invaded the Earth in the eighteen hundreds. What if we had a hold on some of their Martian technology, how would it change history and the human way of life? The drawing by D' Israeli shines and is stunning. The panels of a postmodern British culture set in the nineteen forties are reminiscent of the movie and novel the shape of things to come. 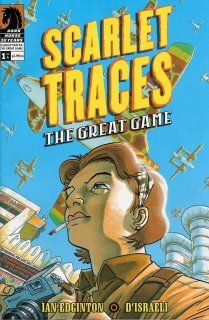 The creative writing by Ian Edginton continues to jar the reader's interest from the original graphic novel scarlet traces. This is a fantastic science fiction story filled with a strong character-driving story. The political government’s conspiracy about their relationship with the Martians is intriguing. This is the first issue of a four issue Mini-run. This title deserves an inquisitive rating of four.